We are living in fast paced environment where time is the essence. Reducing travel time is certainly a much sought after goal. Imagine being able to travel to New York in the morning, attend a meeting or two, have lunch and be back for evening dinner! Advancements in aviation will soon make that possible as crossing the Atlantic will take no longer than 3 hours, thus reducing the current time by more than half. But this will come at a cost and initially only viable for the business and first class passengers. Airline industry is growing so fast with new trends..
Another innovation that will reduce total travel time is something being tried out by Airbus. Today aircrafts spend a long time on the ground taxing and manoeuvring around other aircraft. Airbus is trialling foldable wings which will make this much easier and thereby quicker. Taking off time and landing time will both be reduced..
For the nervous flier, air turbulence is a major cause of their aversion to flying. However, advancements in technology already allow the Boeing Dreamliner to significantly lessen the effects of air turbulence through adjusting the wing flaps. And development is ongoing to be able to assess the air patterns hundreds of miles away which will allow pilots to manoeuvre the aircraft away from that area in advance. The airline seat is also set to see technology helping with the travel experience. KLM are working on developing smart seats which will collect live data on the passenger. By monitoring heart rate, hydration levels and body temperature, the airline will be able tailor their services to specific needs. Our airports are also changing as the introduction of new technology transforms work patterns and enhances the travel experience. In the background, already Schipol airport is using robotic baggage handlers to ease the burden and strain. In Germany, Dusseldorf airport has introduced automated valet parking. Drive your car to a parking bay and the car is automatically lifted to an available slot. With the Internet of Things, airports can monitor passenger movement and guide them easily through to specific locations. Re-directing passengers when there have been flight gate changes is so much easier and real time.its just because of Airline industry new trends. 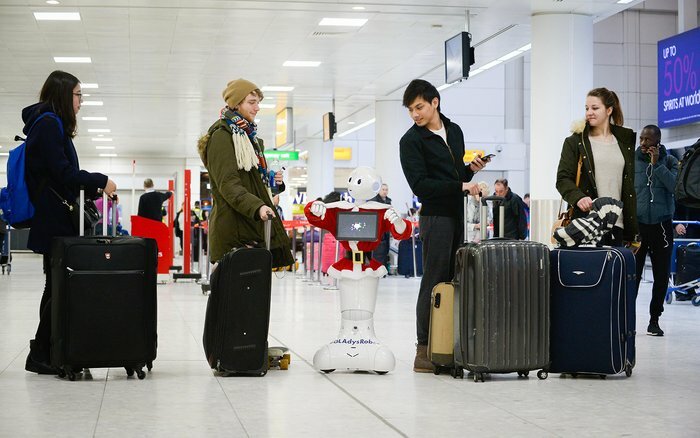 It may not appeal to everyone but there are a number of initiatives around the world from Glasgow Airport to Schipol in the Netherlands and major airlines such as Japan Airlines and Eva Air, to introduce robot customer service agents and entertainment hosts. Glasgow Airport launched “Gladys”, its humanoid robot airport ambassador, last year to entertain passengers waiting for their flights. Gladys sings and dance, recites a number of famous tales and takes selfies with passengers. EVA Air has introduced an interactive robot named “Pepper” that helps people with their check-in process. Pepper scans your boarding pass, provides details about your destination such as the current weather and tourist sites to visit. Pepper will also give you instructions where the airport Duty Free is, will shake your hands, dance and pose with you for a selfie. Some business class seats, such as Etihad’s Business Studio, is as good, if not better than some First Class seats. A decade ago, when airline passengers wanted to travel on lie-flat seats, they had no choice but to book First Class. Back then, business class seats were merely extra-large and comfortable economy seats (similar to what is offered in Premium Economy). Today, flying business class is an all new experience. Most airlines have introduced lie flat seats, enclosed in pods, giving passengers utmost privacy. On the ground, the business class lunge has become more than just a “coffee stop” whilst waiting to board. Free wifi, access to business centres, a bar and restaurant, showers and spa services are just some of the services now on offer. 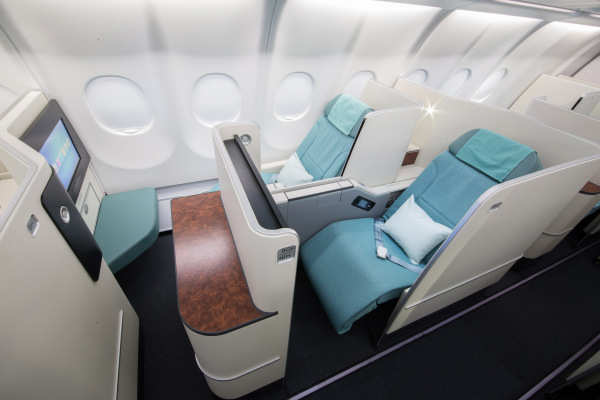 However, as time has gone by and development among business class seats became more and more competitive, the difference between Business and First class seats ultimately has become narrower. 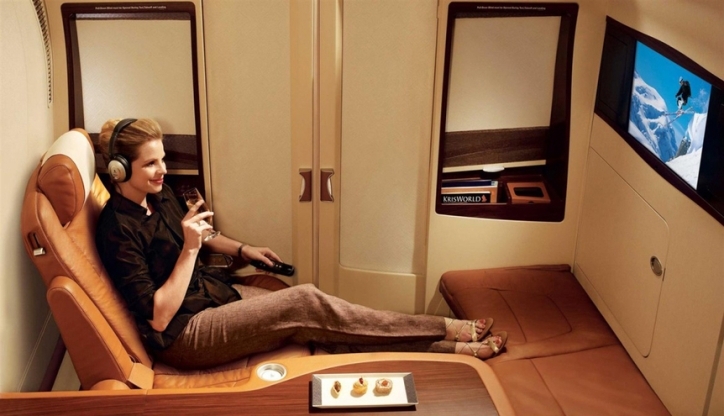 Nevertheless, First Class fares are around double the rate for Business Class. The demand for premium travel is driven by corporate travel whose travel policy permits employees to travel on Business Class but not First Class. As a consequence, many airlines have scrapped First Class altogether in favour of building on the Business Class product. Clearly, much can be expected over the next few years to make travel more convenient for all. Travel business first is providing cheap flights to you, so come and grab this opportunity.